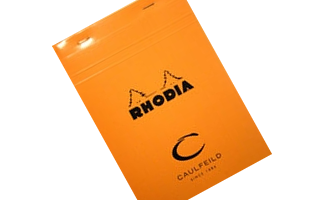 Rhodia, the iconic French brand, is produced by Clairefontaine Rhodia and distributed in the United States by Exaclair, Inc. 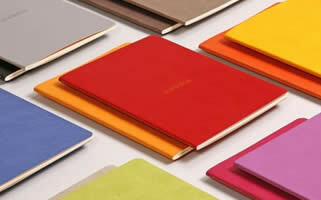 The French Orange Notebooks with a Cult Following ! These economical pads are a favorite of artists, designers, calligraphers, crafters and writers. 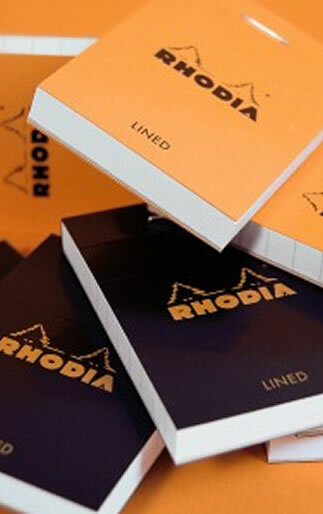 People love Rhodia pads for their grids, smooth paper and unique scored cover which folds back neatly. The stiff back cover makes writing easy and portable. 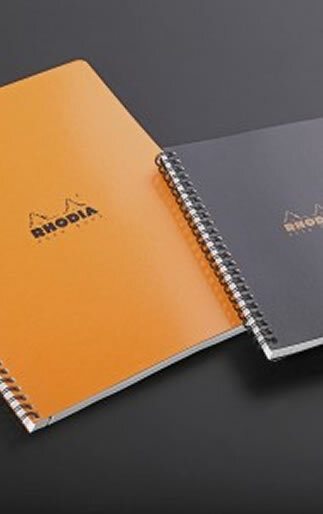 All Rhodia paper is acid-free and ink-friendly. Their bright orange covers make them instantly recognizable in the store or on the street. 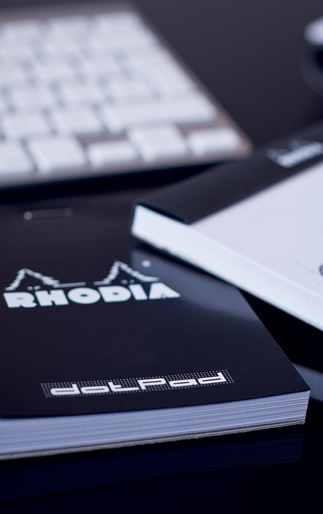 Rhodia has been around since the 1930s. 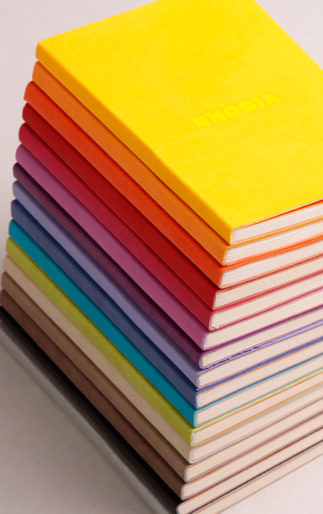 Never write in a dull notebook again. 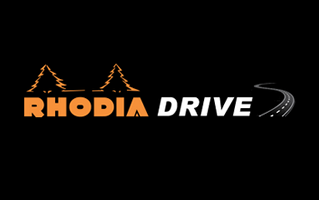 Use Rhodia. 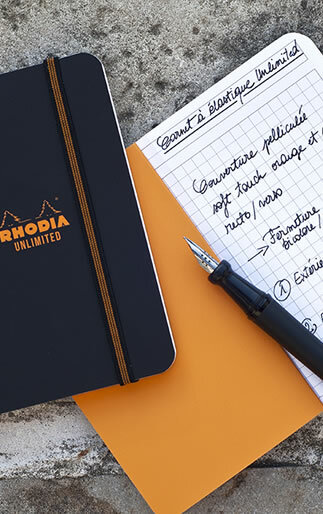 Rhodia pads, notebooks, and accessories are conveniently organized into four discrete collections: Orange & Black Writing Pads, Premium Notebooks, Side Stapled Notebooks, and Boutique products.